Exploring the beautiful roads around Portugal's capital. 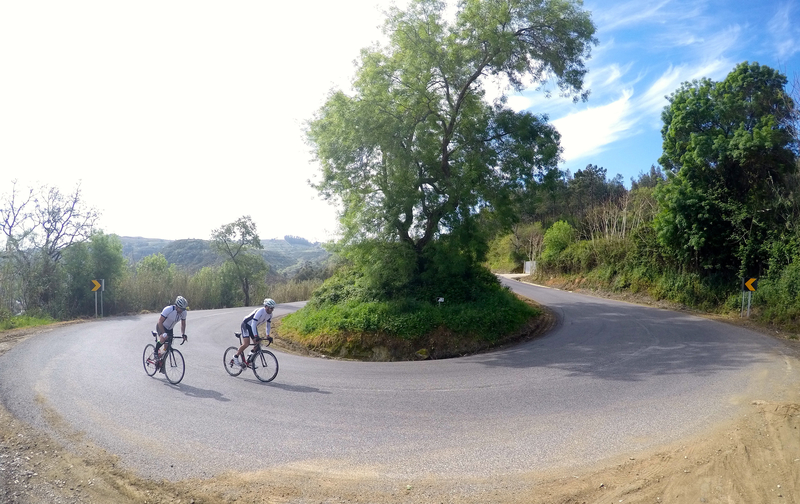 This was another weekend of great riding and lovely spring weather, ok, more like summer than spring but that's Portugal. We started this half day ride early, in order to enjoy the weather, the empty roads and to be back in time for the Easter Sunday lunch with the family. Climbing was on today's menu, 4 of them to be precise, as many as the dishes in a full meal. We went up Montachique just as a warm up and got on our way to Torres Vedras to enter the city rolling under the city's aqueduct, locally described as an old monument since the first document that refers to it in 1561 mentions it as "a very old construction". On our way out of Torres we were presented to the city's Serra da Vila a short but very steep climb that gets your heart pumping and your legs hurting but that's what we're here for. Just a few clicks later we entered the nature reserve of Tapada de Mafra, a less harsh climb than the previous and a place that always seems filled with good vibes. Since the Tapada leads us to the city of Mafra, we always make a point in stopping for coffee and local pastries in front of the convent; they're so good we just can't pass them. 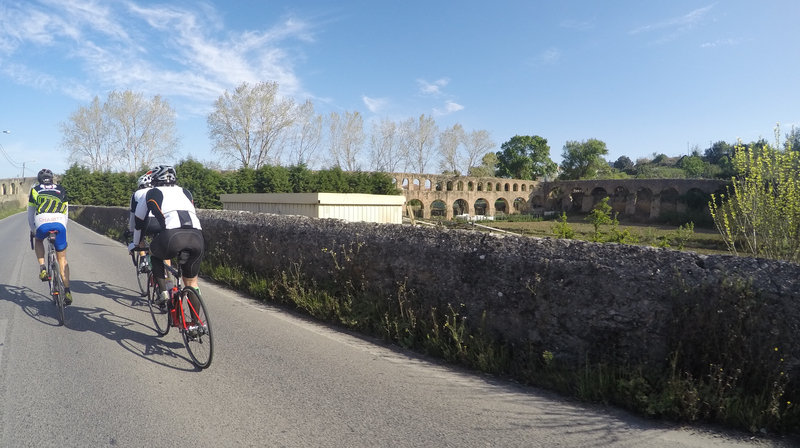 That is cycling in Portugal, enjoying the good weather, making friends, visiting the historic monuments and tasting the great food.